I´ve started working on my stepmother´s 50th birthday present - only 2 months late. 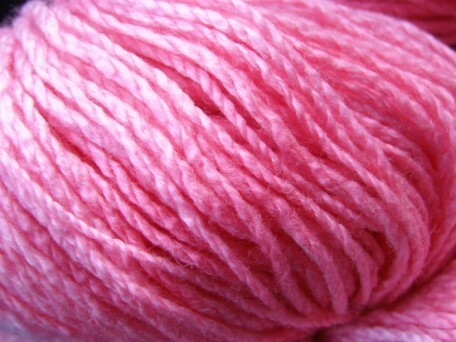 I was so fortunate to find the yarn I ment to buy at half price, so I´m saving some dollars, which is really welcome. 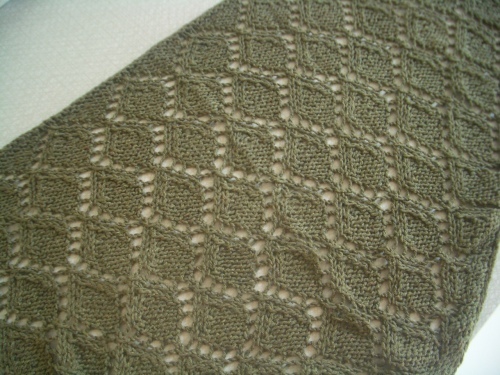 I´m doing a lace shawl in moss green silk yarn, she´s the type of person that never spends a lot of money on herself and her clothes, so she would never buy anything silk for herself (not to mention cashmere! ), so I really wanted to get something with a feeling of luxery for her. I hope she likes it, and appreciate it! Believe it or not, but I´ve started on my Christmas knitting! I´ve got quite a lot of Debbie Bliss Aran Merino in a petrol blue, and it will becom hats for my parents, and socks if it is yarn enough. They live up north, the winters tends to get rather cold, so anything to keep warm is usually welcome. I haven´t told you, but I am a vegan, something that´s quite difficult when you´re into yarn - the best ones involve wool, merino, silk and alpaca. A safe bet is to avoid wool and merino from Australia, the mulesing they use to keep the sheep free from parasites (which they got due to the breeding) is so cruel and involves cutting big parts of skin from their butts. Alpacas is usually (at least if it´s from countries like the US and Canada) treated very well, and you can buy yarn where you even know which animal it came from (I´ve got a couple of hanks from Stevie Wonder!). Silk is unfortunately a disgrace, and involves lots of dead silk worms, but there are alternatives. Tussah silk comes from the wild silk worms, and is gathered after the moth emerges, and thus is worm friendly. Soy silk is made from tofu manufacturing waste, soy beans that is, and entirely vegetable (SWTC has lots of soy silk yarns). And the you could always venture into the un-known, and try fibres like bamboo, hemp, ingeo, just to name a few. And of course cotton and linen. 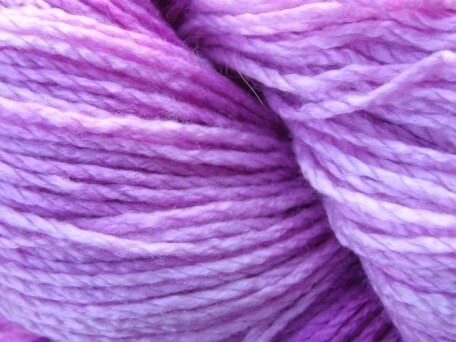 You´ll find vegan yarns at Vegan Yarn, or if you google, or even in your LYS, even if you don´t know it´s vegan. Click on the pics, and you come to the sellers! This post is written as much for me, as it is for you - I need to get out of my fibre comfort zone, and dare to go where few has gone before. I do have an exuse, though - non-woolen fibres here amost all the time means horrible acrylics, or quite boring cotton (I´m not friends with cotton yet, I´m afraid, I need to work on that). 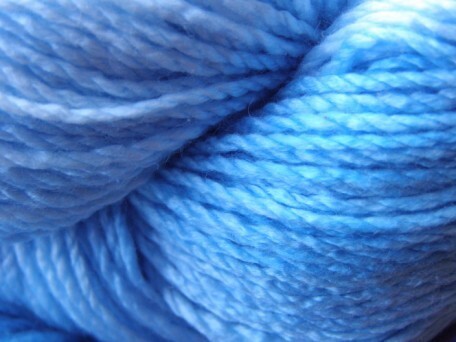 But our LYS has sockyarn with cotton, that´s a must try and a start. 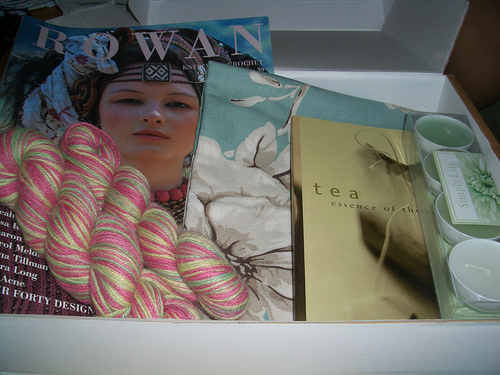 And I need to go online for yarn shopping - the world´s my oyster!